What to look for when searching for a nursing home facility. How Do I Choose A Good Nursing Home For A loved one? Choosing a nursing home to care for a loved one can be a daunting and overwhelming task. Just reaching the decision that a nursing home is needed can be difficult enough, then comes the step of choosing the right one. There are so many important factors to consider—from quality of care to location to cost—all with the health and well-being of a beloved individual in the balance. The single most important thing one can do to help ensure a quality choice of nursing home is gather as much quality information as possible. Thanks to the internet, this information is more widely and easily available than ever. For example, the Centers for Medicare and Medicaid Services collect nursing home data across a variety of parameters and then make the information publicly available to consumers via their Medicare.gov Nursing Home Compare tool. Also, check to see if your state or municipality’s department of health provides publicly available information about nursing home complaints, violations, and penalties. If you have access to the internet—which you do if you’re reading this—much of the information you need is right at your fingertips. However, when it comes to the health and safety of a loved one, nothing beats good, old-fashioned legwork. One should try to visit as many different nursing homes as possible to get a feel for the various facilities, their staffs, the services provided, and the overall ambiance. Unlike so many industries today, nursing homes remain a highly person-to-person, patient-care oriented business. The friendliness, passion, and dedication of individual staff members will have a direct impact on your loved one, so it is important not to rely too much on the raw data in reaching a decision. 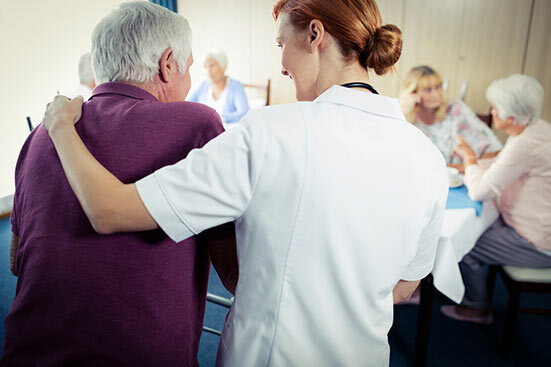 While some laws do exist that protect nursing home residents, and while there are passionate, knowledgeable attorneys like those at TheLawFirm.com willing to take up the cause when called upon, ultimately it comes down to the individual and his or her loved ones to ensure that a nursing home resident’s rights are being respected and that he or she is receiving the appropriate level of care. If you have questions about the care you or your loved one is receiving from a nursing home, contact the expert attorneys at TheLawFirm.com today for a free legal consultation. Is the nursing home properly licensed? Does the nursing home qualify for Medicaid / Medicare? Has the nursing home been subject to any disciplinary action from regulatory authorities? What is the reputation of the nursing home’s owner/operator? Does it own other facilities? A special unit for adults with dementia and/or memory loss? Wound management for residents who develop bed sores? Does the staff seem Friendly and open to the input and involvement of family members? Easily available for regular communication? Prepared to engage in a partner relationship with family members? Seem sufficiently staffed during all shifts? Have emergency plans in place and clear emergency demarcations? We hope this article helps you in your search for the best nursing home for your loved one. It is often one of the most difficult decisions a family member or guardian can make, due to the possible ramifications their decision will have on the resident of the nursing home. See TheLawFirm.com "Warning Signs Of Abuse and Neglect At Nursing Homes" for more information that may help to inform you when making such an important decision.